Following the announcement of his newest album, ‘Smoke Wine Banter,’ Mark Webb Jr has released his newest single, “The Dancer”! “The Dancer,” is available on all platforms and auto-downloads when you pre-order the album, ‘Smoke Wine Banter.’ Links are below to grab your copy! We’re excited to announce that ‘Smoke Wine Banter,’ Mark Webb Jr’s newest album, is set to release on all platforms April 26th! “The new release is a more assured collection, evincing a tailored, polished country sound – you can hear it in the two opening tracks “Dancer” and “Hangin’ On”. There’s plenty of diversity here though – take the slow honky tonk boogie of “He Ain’t Me” which provides some gifted arrangements including fired-up electric guitar. “Lucy” is a highlight, a crisp country ballad bemoaning one person’s fate, while Webb’s smooth vocals are on display with “Then You Find Love”. ‘Smoke Wine Banter,’ was produced and engineered by Brad Phillips at Studio 101 in Woodruff, South Carolina, where Mark’s debut album, ‘Home,’ was also recorded. 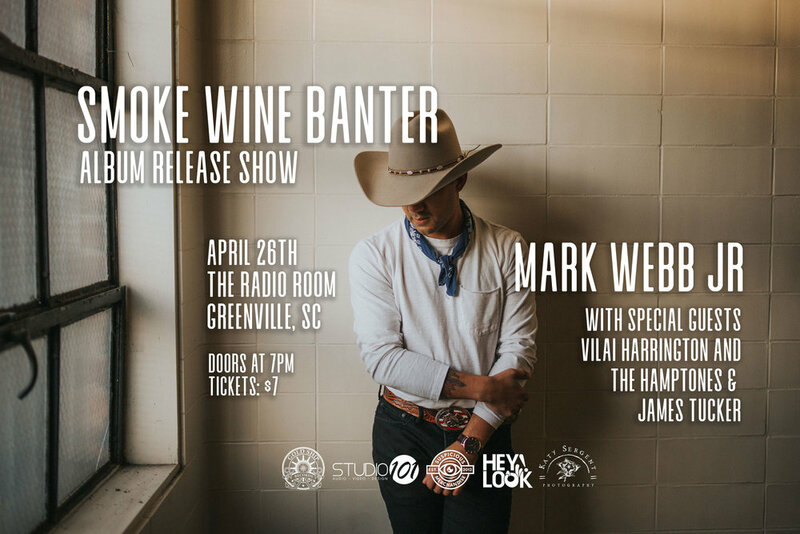 Along with the album release, Mark also announced that he’ll be hosting an album release show on April 26th at the Radio Room in Greenville, South Carolina to celebrate! He will be joined by special guests Vilai Harrington and the Hamptones and James Tucker. Details are listed below. Hope to see you there! ‘Smoke Wine Banter,’ will be available on all platforms April 26th, but is now available for pre-order! Click the link below to grab your copy! 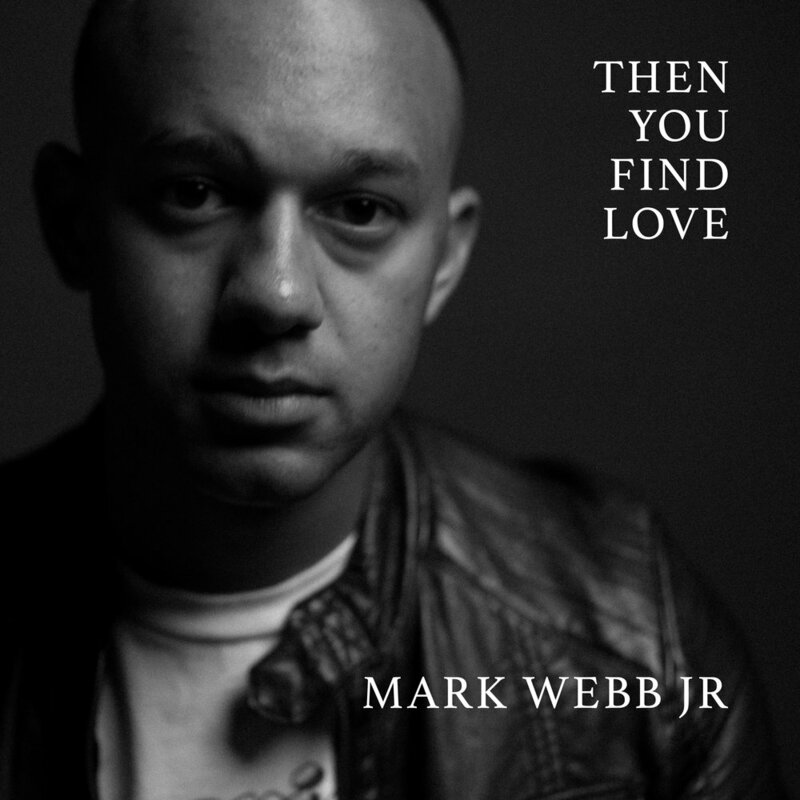 'THEN YOU FIND LOVE' - NEW SINGLE FROM MARK WEBB JR - NOW AVAILABLE! ‘Then You Find Love,’ Mark Webb Jr’s newest single, is available today! You can find and listen to ‘Then You Find Love,’ on Spotify, Apple Music and Google Play! Links available below!